Jake McKeon featured on Shark Tank, pitching his business Coconut Bowls. The sustainable model intrigued a few of the sharks and Jake secured an investment from Janine and Andrew. We sat down with the young founder to discuss how the business began. You’ve started a few small businesses, at quite a young age too. What sparked this passion for running your own business? Growing up, I was never inspired to have a career in any particular industry, and was always drawn to interesting people doing different things to the norm. Throughout school, and even university, I didn’t know what I wanted to do. However, I always found business, finance and commerce subjects fascinating because of the case studies and practical side of learning. After I graduated from university, I began a corporate role, and stuck at it for a couple of years before an idea for my own business came about. Once I began researching the concept and learning how to start a business, I was inspired a whole lot more than I had ever been before. When I handed in my resignation, I knew that I was never going to work for someone else again. 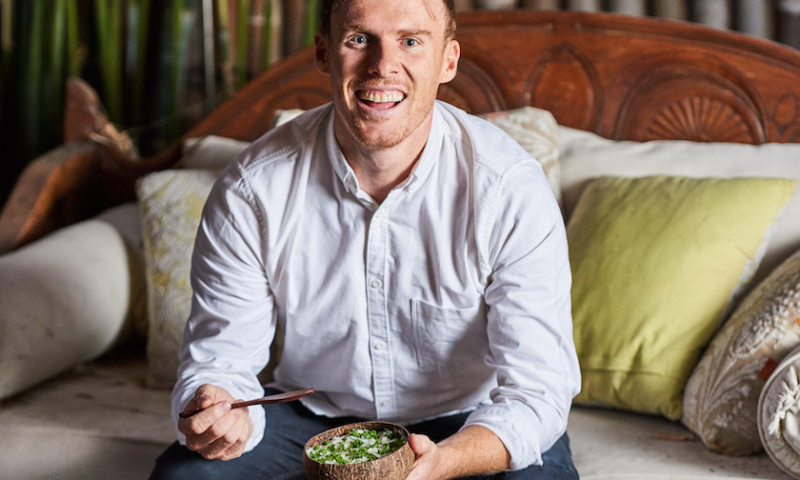 Tell us about starting your most successful business Coconut Bowls? How did that come about? While on a surfing trip to Bali, I came across coconut shell handicrafts. I instantly fell in love with them, and knew that if they could be turned into the coconut bowls I envisioned, then others would too. I had a local craftsman make me a hundred, packed them into my suitcase, and returned home to Australia. How did you grow into the global market? Fortunately, I had some experience with ecommerce prior to Coconut Bowls, so when I started the business, I made sure that we could ship our products efficiently to North America and Europe where I thought there would be some demand. We primarily used social media as a tool to talk to our target market. We instantly attracted an audience worldwide and began making sales globally. Once demand warranted it, I began warehousing our products in different regions in order to offer faster shipping, and also separated my websites into regional sites with content tailored to the local market. This also meant I could sell in USD, GBP and Euro, which increased our margins due to the currency conversion. What struggles have you faced as a small business owner and how did you overcome them? We’ve grown at such a rate that it’s meant we’ve had to make decisions faster than we would like. I’ve had issues with logistics, supply, and product at times, where we’ve sold out too fast or had too much stock, and quality was an issue at one point. All were things that could have been avoided had we prepared better. These issues drew our attention to cash flow. You realise you’re making less money than you think you are, and question how much longer the business is sustainable. Thankfully, with sound advice and support, I was able to problem solve and take the right action to get through tough periods, and also learnt how to avoid them in future. How has Xero helped in your business journey? Xero provides that link between me and my accountant. He has access to almost everything he needs to monitor and review my financial situation. This allows me to focus on the part of my business that I’m good at, without having to source information for my accountant on a regular basis. Xero has also helped me seamlessly scale into international markets, while making the financial side of my business really easy to manage. Having multiple payment gateways – like PayPal, Stripe and Shopify Payments – and my various bank accounts and payment cards all linked together in the one platform gives me a great overview of my finances at any given moment. Using Xero has certainly helped get me through the times of tough cash-flow. It does so by simply allowing me to see a true picture of my financial data. What role has a connected advisor helped running your business? My accountant, Ricky Jessop, was proactive in setting me up in Xero. Ricky was confident from the outset that Xero was the best solution to manage my finances because of its ability to seamlessly scale with my business. Ricky is like Coconut Bowls’ virtual CFO, in the sense that he takes an active role in the business, more than just looking after the accounting. He helps identify trends and opportunities both to grow revenue and save on expenses. As the business has grown, we’ve also worked together to create cash-flow analyses, budgets and forecasts in Xero. This helps hold me accountable, as well as allowing us to set key objectives and milestones to ensure we avoid any cash flow and stock availability issues. What’s next for you and Coconut Bowls? I would love to see more families eating out of Coconut Bowls. We like to talk about them as more than just bowls – they’re an experience. Not only are they fun to use, they help inspire you to be creative in the kitchen, eat healthily, and consume mindfully. I see us growing into a business that leads the way in health, wellness and sustainability. Whether that’s through eco-friendly products, education, or a combination of both, I’m not sure yet. Whichever direction we go, my goal is’ to have fun and make a difference. I want to do well, by doing good.